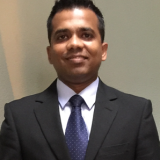 Vijayakumar (Ryan) is a Vice President of Process Innovation & Customer Experience at Affin Bank in Kuala Lumpur, Malaysia. He has an accumulative experience of 18 years in the hospitality and banking industry having served in several local and international bank. He has garnered vast and in-depth knowledge in on Sales, Contact Centre, Customer Experience, Service Culture Transformation, Service Innovation, Coaching, Learning & Development, Artificial Intelligence and Digital Transformation. As a Process Innovation expert, he is currently leading several critical projects in his current organization, which includes the innovation of Digital Branch. Vijayakumar received his Master’s in Business Administration from Open University Malaysia in 2015 and his undergraduate degree with a double major in Marketing & Human Resource Management from the University of Tasmania, Australia 1999. Check out the incredible speaker line-up to see who will be joining Vijayakumar.